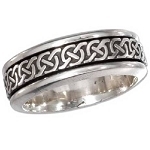 A great stainless steel man's ring features a dragon cut into the outer band which spins freely around the inner band. 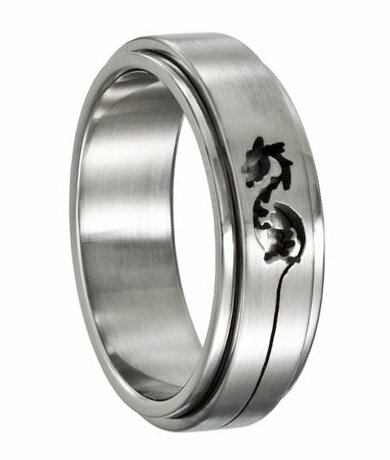 This is a cool version of our very popular dragon band. Bought this ring for my spouse and he loved it. It spun around which he loved! Best ring ever bought! 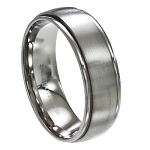 The ring is well made and of a good quality, not sorry for the purchase, have purchased more from Just Mens Rings. Nice ring:) at a great price. My husband loves it too.